There are hundreds or thousands of options available to you if you look online or in the store for whey protein and knowing which is the best for you can be challenging. When you’re looking to lose weight and add lean muscle to your body, it’s only natural that you want to ensure you’re putting the best whey protein into your body. This guide not only breaks down five top-selling whey protein powder products but also teaches you the things you need to know so that the next time you go to buy some, you’re going to be confident. 1. How to Use Whey Protein Powder? 2. How to Take Whey Protein? 3. How Long Does Whey Protein Last? 4. How Much Whey Protein Should I Take? 5. 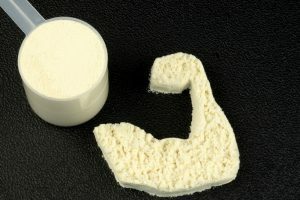 How to Make Whey Protein Powder? 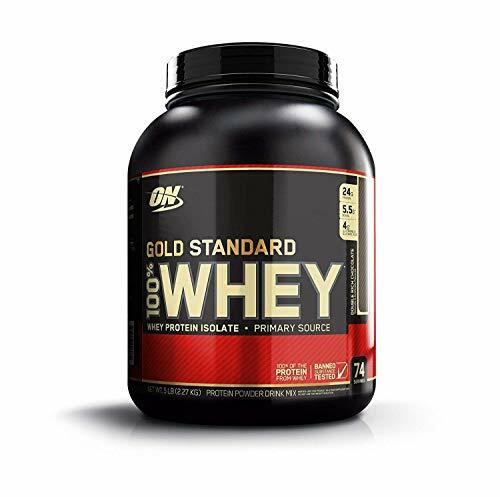 As one of the highest selling whey protein powder on the market, Optimum Nutrition Gold Standard 100% Whey Protein Powder surely deserves to be the first product to be reviewed. The Optimum Nutrition reputation alone was enough to get it on our list, but we wanted to do some substantial research to find out if this brand of whey protein really is as good as it seems. Whey isolate is 90% pure protein by weight, and it’s the first ingredient that you see when reading the nutritional label on the Optimum Nutrition Gold Standard powder. By using isolates as their primary source of protein, they provide 24 grams of whey protein isolate into each serving and cut fat, cholesterol, and other additives that you don’t want in your protein powder. It has a high protein percentage, fast-acting hydro-whey peptides, and over five grams of BCAAs. It also provides protein micro-fractions and four grams of glutamine and its precursors. The whey protein isolate is definitely high-quality, and we really liked that it includes three different types of whey protein to ensure good results. There is a lot of value for the money, it dissolves instantly, aids with weight loss, and promotes muscle building and recovery. With the popularity and performance level of the Optimum Nutrition product, we felt like it would be beneficial to offer an unflavored option for those who prefer to mix their protein powder into their food. The three flavors do get boring after a while, and there are artificial sweeteners added to the product. SFH is a nutritional company that’s been manufacturing whey protein powder products since 2010. They believe that nutritious food, a commitment to exercise, and healthy supplements are the key to a healthy lifestyle. Their Pure Whey Protein Powder is designed to prove the science behind their philosophy, and the second protein powder on our list. Said to be the cleanest whey protein on the market, this whey protein powder comes from grass-fed, free-range cows that are free of bovine growth hormones and antibiotics. The company prides themselves on having manufactured a product that is suitable for all ages. The protein powder is safe for children, pregnant women and nursing mothers, and the elderly. There is 23 grams of protein in each serving, along with 130 calories, 15 of which are from fat. In addition to a healthy dose of pure, high-quality protein, it’s low in lactose and cholesterol, high in free calcium, and an excellent source of amino acids. 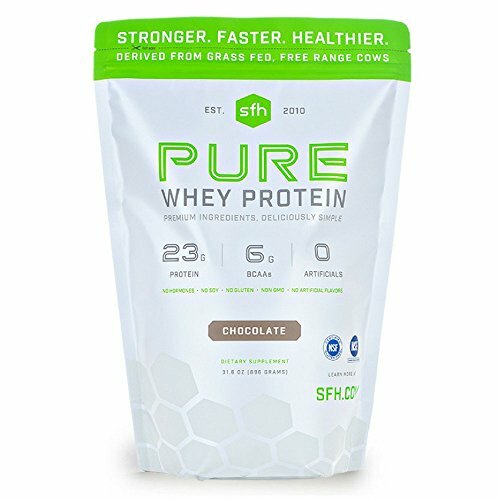 SFH hit their promise by providing pure whey protein, and we really liked that. There aren’t any artificial sweeteners, and we loved that it was sweetened with stevia. The hormone-free cows producing the protein made us feel better about consuming the concentrate. Unfortunately, we did notice that it has higher potassium content than the majority of other whey protein powder products that we found on the market. Additionally, it’s quite expensive for the amount of powder that you get, and we noticed some inconsistencies in the way the powder dissolves with different flavors. TGS Nutrition is a small company that’s been operating in Las Vegas since 2013. Despite being small, their all-natural, 100% whey protein powder has developed a huge name for itself. Their product has even become an Amazon Choice seller, so we had to make it our third powder on the list and review it. Is it really all it’s cracked up to be? 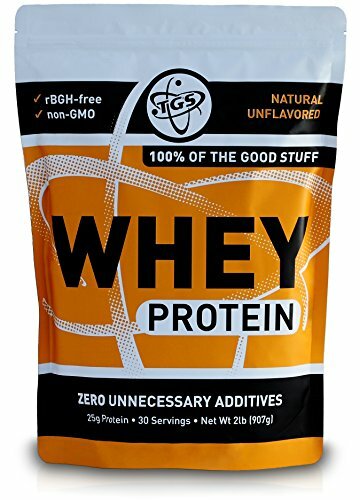 TGS Nutrition’s Whey Protein Powder only includes two ingredients. It has no additives or fillers and is suitable for both men and women. The formulation provides high protein with low carbohydrates and low calories. It’s great as a meal replacement shake and can help with muscle recovery and weight loss. The company prides itself on being a healthy alternative to other protein supplements, and it does so at an affordable price. It’s non-GMO and rBGH and gluten-free. With 25 grams of protein in each serving of unsweetened and unflavored whey protein, you can add it to your favorite drinks and food. The customer service at TGS Nutrition is excellent, and we enjoyed that it’s not an overly large organization like some of the other whey powder products on our list. It has a natural formula with no artificial sweeteners or additives and has a high protein count. While there’s nothing really wrong with this product, aside from a slightly unpleasing taste, it’s pretty generic. There’s nothing in the formula that makes it stand out from other brands, and nothing to sway you into buying this TGS product. Naked Nutrition is well-known throughout the nutrition, fitness, and supplement industries. They offer a range of products and protein powder to help with muscle development and fat loss, as well as aid in maintaining a healthy lifestyle. As the fourth protein powder on our list, we looked deeply into the highlights and tested for ourselves to see if it’s the greatest whey protein powder. None of Naked’s products include artificial ingredients or additives that could be unhealthy. 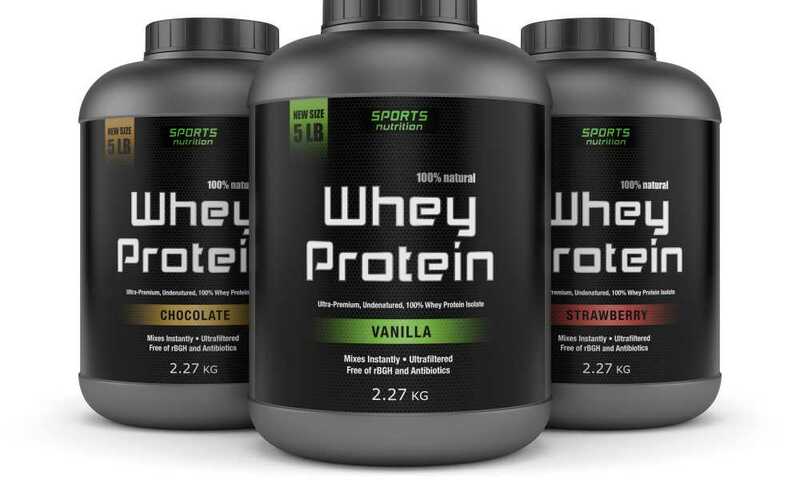 Their all-natural whey protein powder comes in different varieties that include unflavored, chocolate, vanilla, and strawberry. Additionally, they offer their product in more than one size, and it’s a whey protein concentrate. There are 25 grams of protein contained in each serving. The whey protein powder is also cold processed to ensure that there isn’t any contamination with additives, metals, detergents, or other factors that could take away from its “naked” formula. While most people love flavored whey protein, we like to experiment with unflavored too, so we can see how it tastes in food such as oatmeal, so we enjoyed that Naked Nutrition offers an unflavored version. We also like that there are no artificial colors, flavors, or sweeteners and that there are recipes available on their website. There was some bloating that was noticed, and the powder didn’t mix as well as other brands that we tried. We also found that some of the different flavors tasted artificial, despite not having artificial flavoring. The only ingredient is whey protein concentrate. Doing a lot of research is all part of finding the best protein supplement for you. We did our best to break down five top-selling protein powders, and now we’ve come to the last one on the list. BulkSupplements Whey Protein Powder Isolate is a highly rated whey protein powder like the others, but is there something that sets it apart? 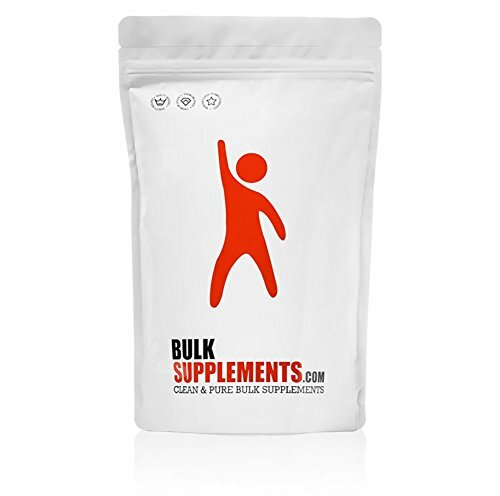 Aside from being a whey isolate, here’s what else BulkSupplements offer in their formula. The BulkSupplements Whey Protein Powder Isolate went through a cold, micro-filtered process to ensure it remained as clean as advertised. All that while keeping fats, lactose carbohydrates, and cholesterol low. With 90% protein and a formula that includes muscle-building BCAAs and amino acids, you can build muscle while burning fat, and speed up the recovery of your muscles at the same time. BulkSupplements also states that they tested each of their containers in a lab to ensure the highest quality. The protein used in BulkSupplement’s product is high quality, and there aren’t any artificial ingredients blended into the powder. It’s also very wallet-friendly, which is always an added benefit when looking to add something to your daily diet. Unfortunately, the whey protein does contain soy, so it’s not a good option for you if you’re allergic. We also couldn’t find a scoop in the bag, and later found out that it doesn’t include one. Being able to sift through the mounds of whey protein that’s sold in stores and online to find the good is a great skill to have. 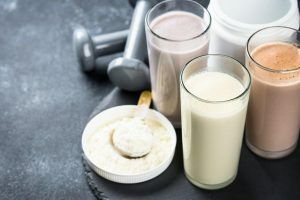 The majority of people don’t get enough protein in their daily diet, especially those who are exercising regularly, and whey protein powder helps with that. 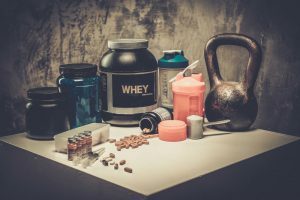 This buyer’s guide can be used to assist you with narrowing down the selection of whey protein powder products available to you, so you can buy one that suits your specific needs. Three types of whey protein are processed into a powder to be used for assisting weight loss and management and promote lean muscle growth. While the three types do include whey, each is different in their own right and has various benefits. Let’s look into them further. Whey Protein Concentrate: Contains 30 to 85% protein among other macros such as fats and carbohydrates. You can usually find lactose and different protein sub-fractions that offer health benefits. Whey Protein Isolate: Said to be the second-best whey protein, it’s a powder that starts as a concentrate but runs through further processing to get a higher percentage of protein. Whey protein isolate usually contains about 90% with no sub-fractions and even less fat and carbohydrates. Hydrolyzed Whey Protein: The third whey protein is hydrolyzed and runs even further than the isolate. It goes through a process called “pre-digestion process.” The formula is specifically designed to help your body break down the protein faster for quick absorption. You do pay a premium price for it, but micro-fractions that are beneficial to your health do get destroyed in the breakdown process. When it comes to whey protein powder, the most common is whey protein concentrate. By merely looking at the label, you can tell if it’s a whey concentrate or isolate. Whey protein is in the liquid portion of milk. As an example, the liquid floating on top of yogurt before it’s stirred is whey. Concentrations of whey protein are typically more affordable than other types, and it holds onto more of whey’s natural health benefits because it’s only processed once. It does also taste better because there is a higher percentage of lactose and fat. Concentrated whey protein can be hard to digest for those who are lactose or dairy intolerant. Regardless of what it is, allergens are severe and need to be taken that way. Symptoms develop almost immediately if you are allergic to whey protein and can start with a skin rash when the container is first opened. Your immune system is designed to fight off invaders, and that includes things you are allergic to. What starts off as itching and skin irritation is a clear sign. 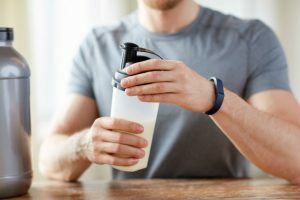 If you find your skin acting strangely when handling whey protein, it’s best to consult your physician before mixing it into a meal replacement shake. Once the protein gets digested, there are further complications that could be extremely uncomfortable for you. It’s also necessary that you look at the container of the whey protein powder itself. Sometimes, the powder is processed on the same equipment that handles other products and ingredients. If there are any outside allergy concerns, you can find the details on the package label at the back. There are a variety of benefits available with whey protein, and science finds more every day. While it shouldn’t be used to replace meals completely, whey protein powder does hold enough nutrients to give you a well-balanced diet. Let’s look at some of the other benefits that come with adding whey protein into your lifestyle on a more permanent basis. 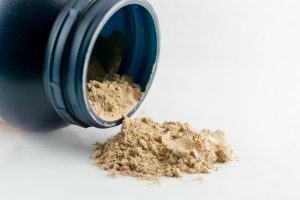 The list of functions for whey protein is a long one, and clinical studies are continuously getting completed to find more uses for the natural ingredient. 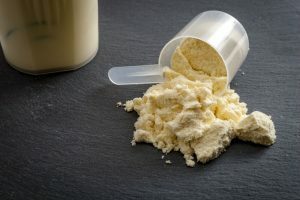 While some applications show strong evidence that whey protein functions with it, other purposes don’t have as much evidence. To find out more about the uses of whey protein, consult with your doctor. Using whey protein powder isn’t that difficult. Depending on the brand and container that you buy, the recommended dosage and instructions are included on the packaging. Under most circumstances, you merely take a scoop of the protein powder and mix it in with your preferred mixing agent such as cold water or a type of milk. It can be used as a meal replacement throughout the day if you find that you don’t have enough time to eat healthy, nutrient-enriched meals. You can also drink it before working out to aid with performance or drink it after your workout to help with muscle recovery. You can take your whey protein through a variety of methods, and you don’t need to feel shy about getting creative with how you take it. Sometimes, the simple way of mixing the powder with water can get boring, and eventually taste bland or even unpleasant. Feel free to take your whey protein powder by combining it with milk, ice, or almond milk. If you have unflavored whey protein, you can even incorporate it into your food. Some brands offer you downloadable recipe books when you purchase their products; otherwise, you can find many recipes online that give you ways to add your protein to your diet. One popular suggestion is a scoop of unflavored whey protein, mixed with your morning oatmeal and topped off with some berries. Unfortunately, there is no absolute answer to this question. The duration that your whey protein is going to last depends significantly on the amount that you purchase, and the amount that you take daily. 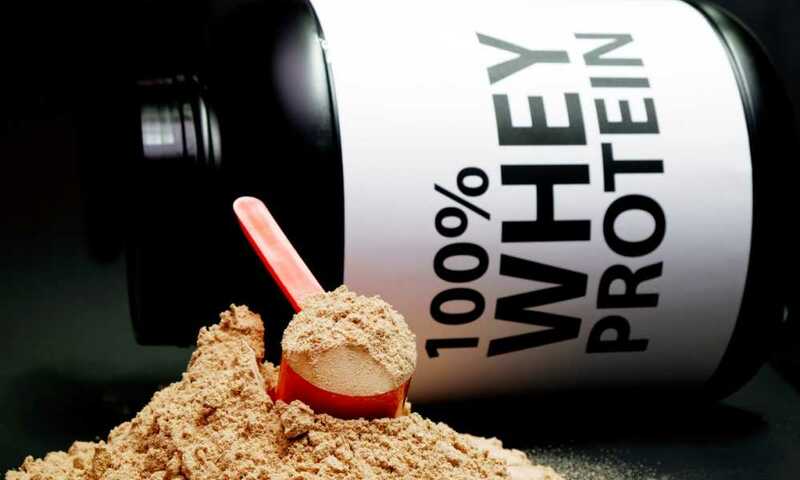 If you find that you use your whey protein multiple times a day, it’s best to invest in a brand that sells their protein powder in various sizes so that you can purchase a large amount. It could last you anywhere from a couple of weeks to a few months; it’s just a matter of how much you buy and how often you use it. 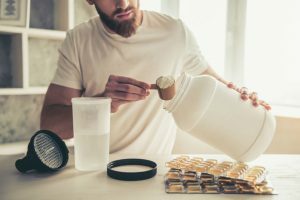 Most nutritional supplement companies that manufacture whey protein provide dosage instructions with their product, but there are some standard rules of thumb that you should follow. Health regulations state that a person should get one gram of protein for every pound. So, if you weigh 150 pounds, you would want to ensure you get 150 grams of protein each day. Most commonly, it’s not that easy unless using a protein powder. Women, who tend to be smaller because of genetic build, are usually recommended to take one scoop of whey protein and mix it into their drink or food. For men, the recommended serving size is typically two scoops. It’s important to remember that regardless of what the recommended serving is, you should also consult with your doctor before using a whey supplement as your primary source of protein. 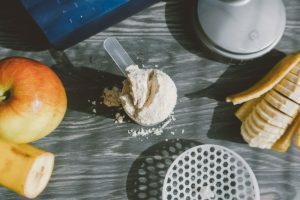 There are a variety of methods available for those who are looking to make their own protein powder at home, and it’s not as complicated as some might think. While it is a relatively a simple process to make whey protein powder in a concentrated form, there are quite a few steps for it. For the sake of this guide, we’ve included a very informative and helpful video that shows you how you can make your own whey protein powder at home. Now that you’ve found out essential things there is to know about our five contenders, we hope that you’re ready to start working out. It’s taken some time, but we’ve finally managed to figure out which whey protein powder is the best of the best. After thoroughly looking at the price, ingredients, performance, effectiveness, and more, we concluded that the Optimum Nutrition Gold Standard 100% Whey Protein Powder is still the best whey protein. It’s not just popular, but it’s useful, too. Optimum Nutrition’s Gold Standard is affordable, but if you are still looking for an alternative, Naked Nutrition 100% Grass-Fed Naked Whey Protein Powder is a safe bet.